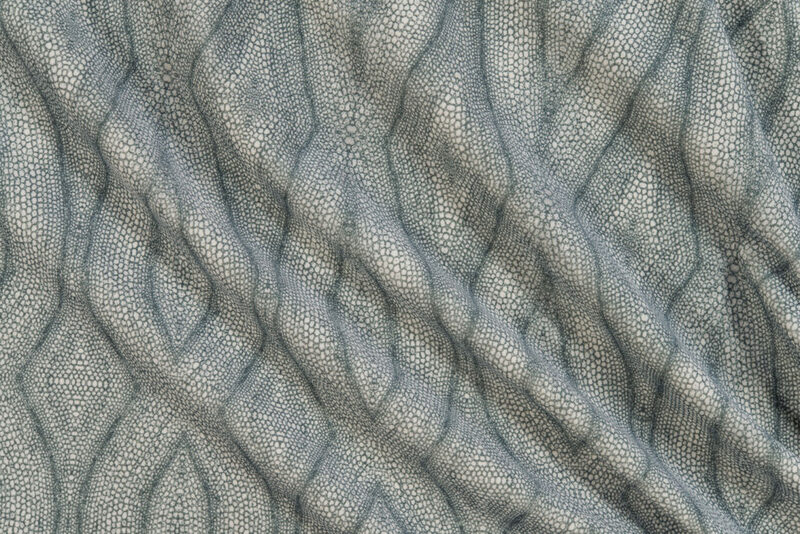 Plucked directly from nature, this alluring pattern is actually a close inspection of the cellular structure of plant life. Yet when exploded and arranged into repeat, what emerged was a strong reference to shagreen, the tinted and polished skin of the stingray, which enjoyed extreme popularity during the Art Deco period. Imagine this fabric for upholstered walls in a bedroom fit for a movie star from Hollywood’s golden age… or as upholstery and drapery for a spectacular tropical dining room.